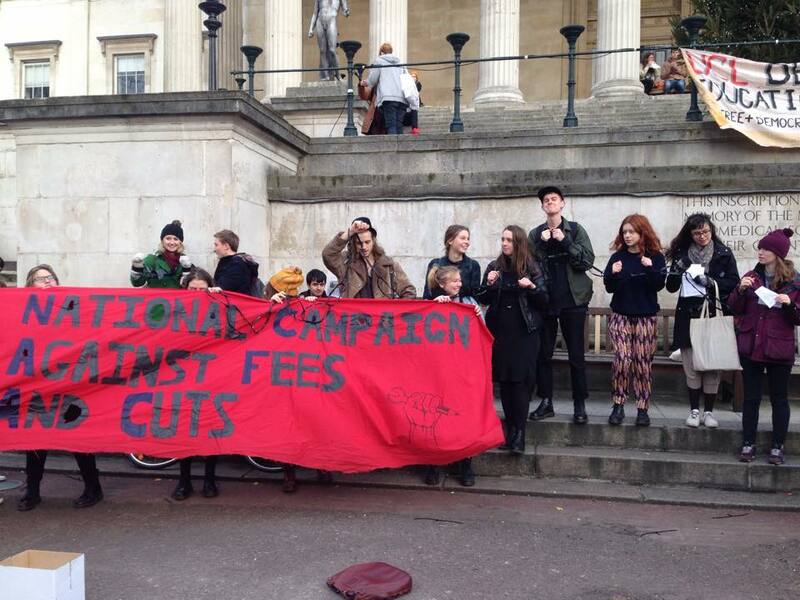 On 3December 2014 we held another protest at UCL demanding caps on tuition fees from international students, lower rents in UCL halls and decent pay for postgraduate teaching assistants. 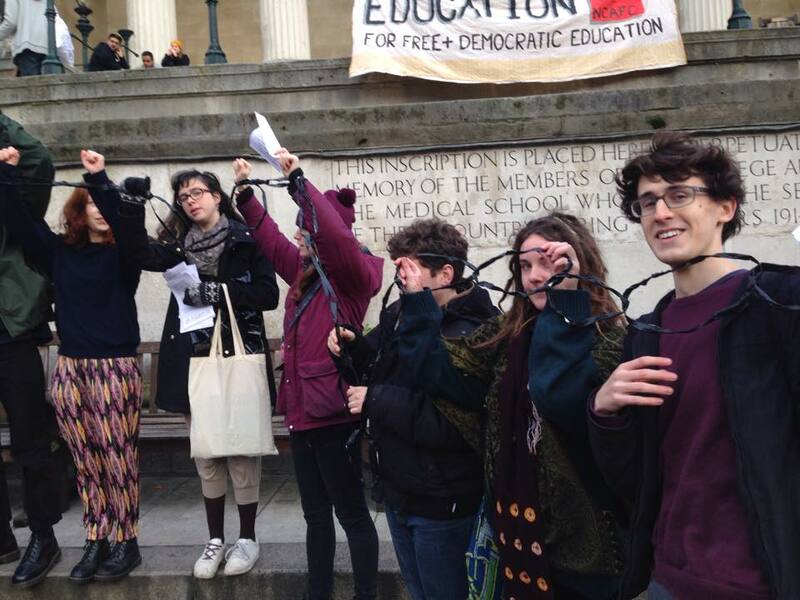 The protest was held on UCL campus and ended in the lobby of Universities UK in a flash occupation! 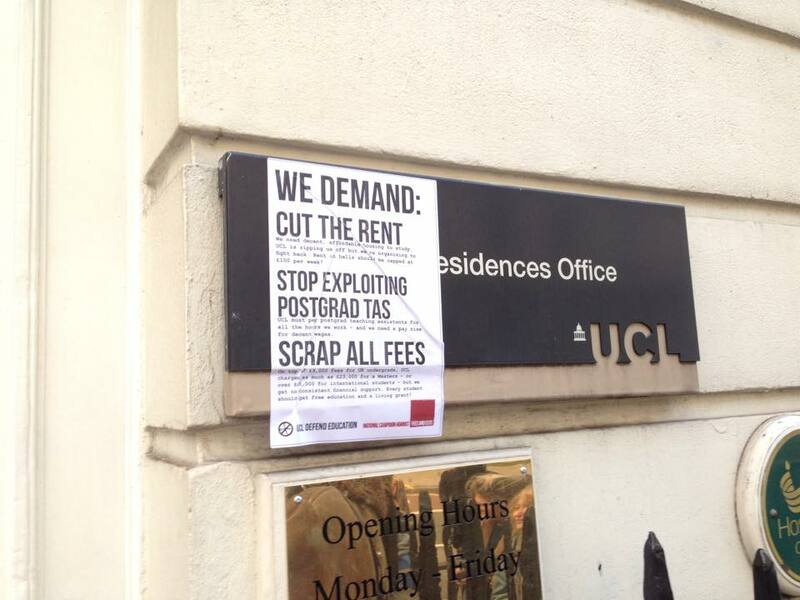 Demanding lower rent at the Student Accommodation Office! 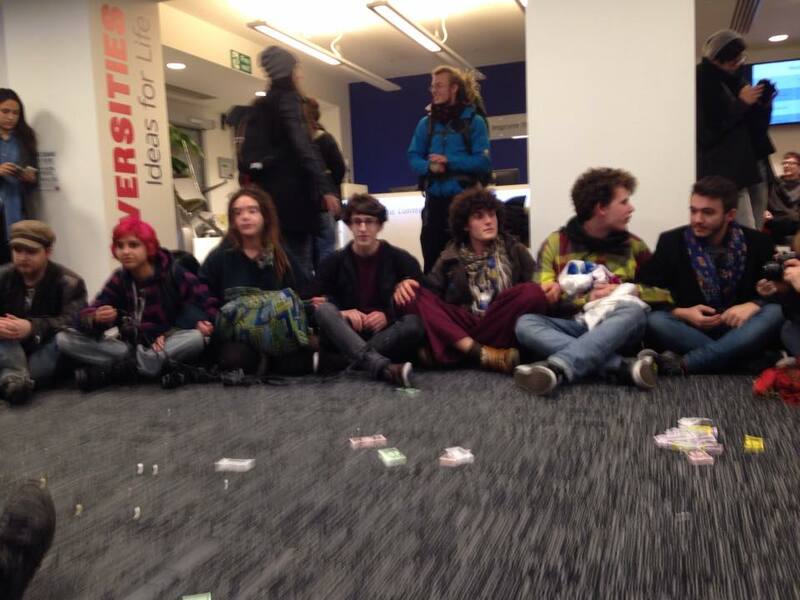 A flash occupation of the lobby of Universities UK. 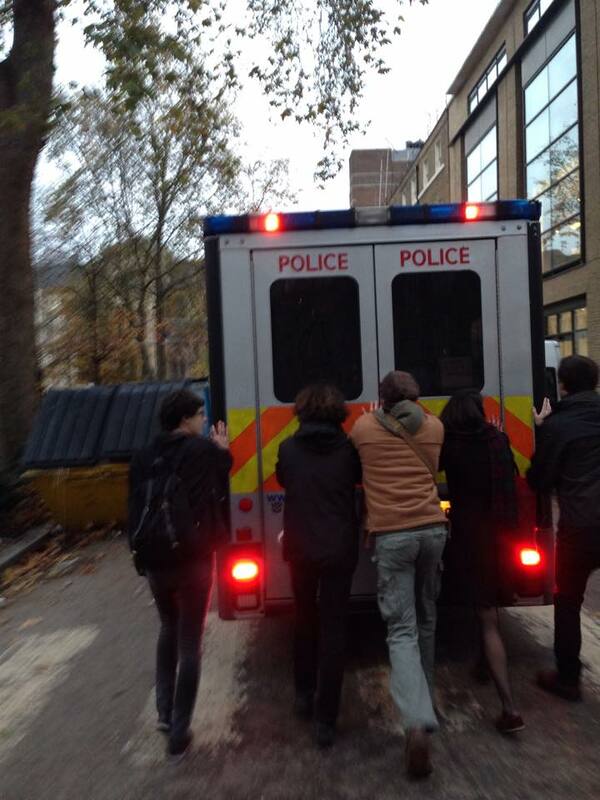 Getting cops off campus! Effective. 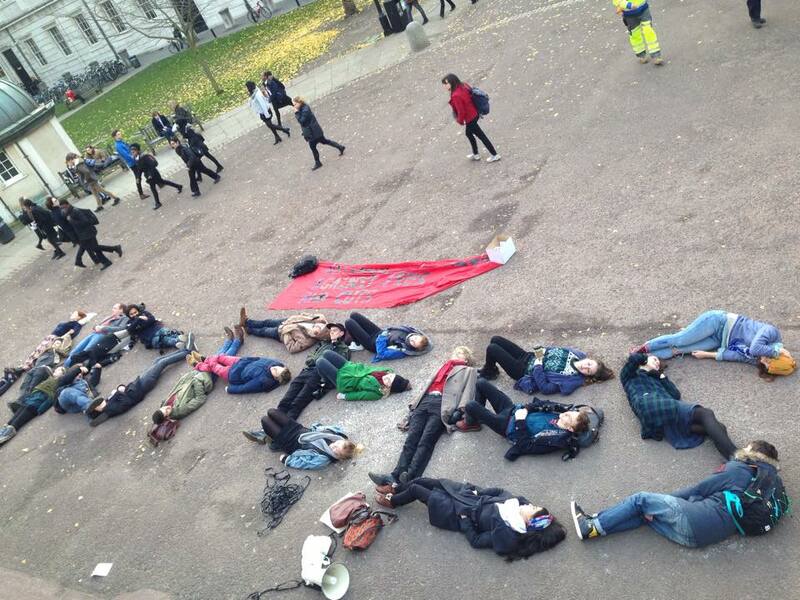 Students spelling out “NO FEES” in the UCL Main Quad.